« Golfers like you golf courses like this. 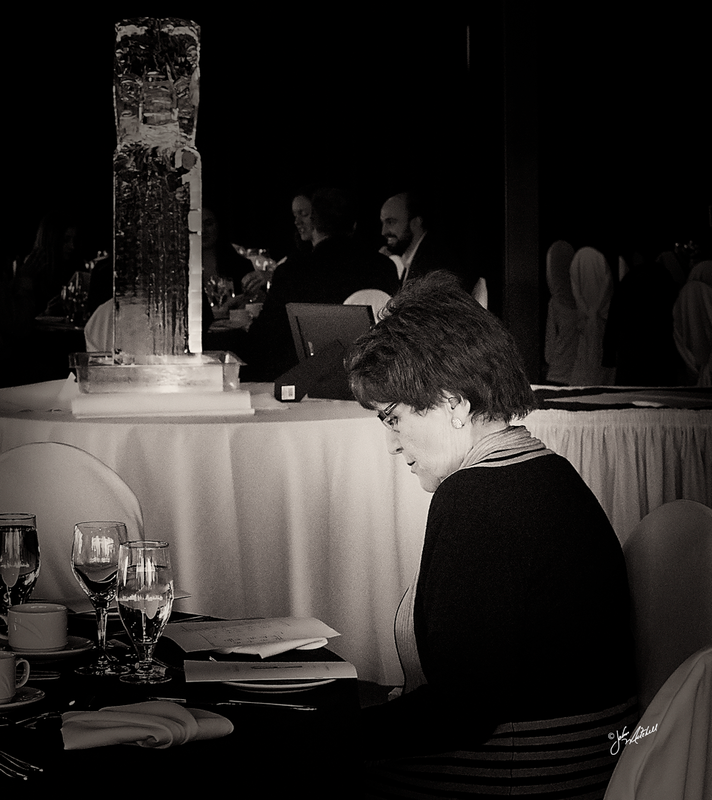 I captured this candid image of Bonnie at this year’s Elephant Waltz back in April. I thought it was very fitting and representative of the person she was. Even with busy activity going on all around her Bonnie would stay focused and calm, always planning and thinking of what was best for her charges; the animals under the care of the Cambridge and District Humane Society. I first approached Bonnie over 15 years ago with the idea of doing animal portraits in exchange for a donation to the Cambridge and District Humane Society. This would be a fund raiser and we weren’t sure how successful it might be. Bonnie worked with me through all the planning and working out the details. At that time I had my store front studio and Bonnie showed up herself to help insure everything went smooth. That first year I learned she was an avid reader, as she read an entire book while still performing receptionist duties for me that weekend. Bonnie’s love of animals knew no boundaries. After hurricane Katrina, Bonnie used her vacation time to drive to New Orleans to rescue 15 dogs, including 7 puppies, and bring them back to Cambridge. Bonnie’s love of animals, organizational skills and fund raising talent will truly be missed. Rest in Peace Bonnie Deekon. This entry was posted in Community, Uncategorized, What I See and tagged @Cbridge, #Great_People. Thank you for sharing this, I have known Bonnie for 62 years and she was the most amazing person I have ever had the pleasure of knowing and loving.